In 2014 Roland’s BOSS brand introduced the Waza Craft line of products, which included refined versions of three of their more popular pedals: the SD-1W Super Overdrive, BD-2W Blues Driver, and DM-2W Delay. “Waza” is a Japanese term for art and technique, and these special edition pedals use analog components used Kaizen (the philosophy of continuous improvement) on the circuitry to deliver their classic sound signatures plus switchable modes for customized tones. I love each of these pedals, and Waza gives everything I expect from them and more. The Waza Craft SD-1W Super Overdrive and BD-2W Blues Driver pedals can attain the tones of the originals, but also feature switchable Standard and Custom sound modes. But the most magical of the three is the DM-2W Delay. BOSS stopped production of this pedal in 1084, and it developed a cult following who loved the organic bucket brigade” analog delay tone. Its standard mode achieves the lush sound and 20-300 ms delay range of the first generation DM-2, and the custom mode instantly changes the sound to a cleaner analog and doubles the delay time. A win-win situation, if I have ever heard of one. Of course, all of this neat stuff comes at a price, and these pedals are a bit more dear than what you would expect from the BOSS line. The SD-1W Super Overdrive and BD-2W Blues Driver each have a list price of $207.20 (street $149), and the DM-2W Delay has a list price of $248.80 (street $149). If you can only get one, go for the delay pedal. Trust me. 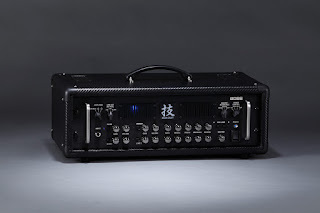 Well, BOSS went one further this year, and at the Winter NAMM show they debuted the Waza Craft guitar amplifier head. I have not had the opportunity to try this one out yet, but am looking forward to it (they are still in the pre-order phase). 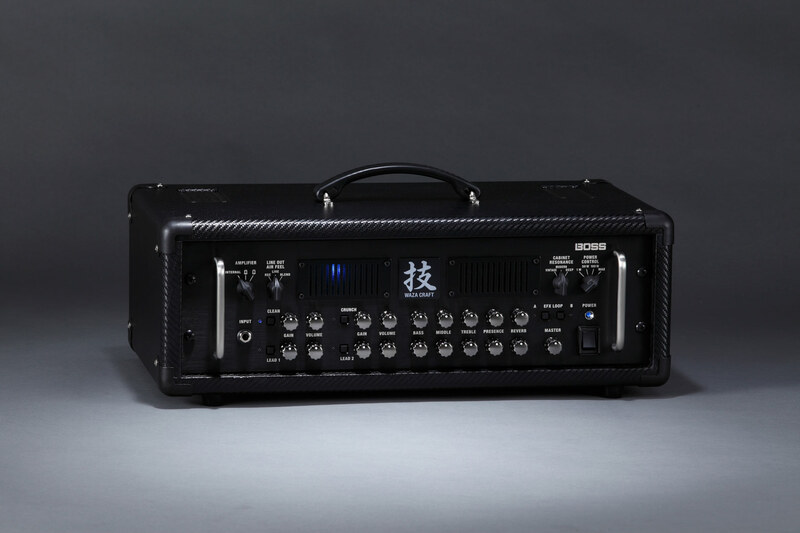 This solid state 150-watt amp appears to be versatile, with 1-watt, 50-watt, and 100-watt settings. There are four foot-switchable channels, and a 3-positin character switch, and it is touted as having the “ultimate brown sound.” It had better be perfect, with a list price of $3499 and a street price of $2499. It is hard to imagine any non-tube amp that comes in at this price point, so it had better be perfect. I am excited by the Waza Craft line of products from BOSS, and though they are not breaking new ground, how much new stuff is left to develop in the guitar effect world? They have refined classic products and given working musicians tools that will help them do their jobs better. Check them out for yourself and see what you think.